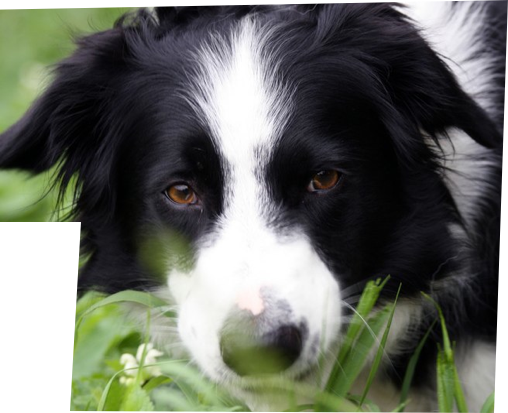 Otter was a truly amazing dog and the inspiration for Herding Haven rescue. 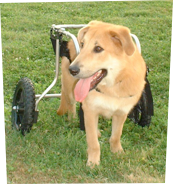 The victim of horrible abuse as a puppy, Otter was left unable to use his back legs. Yet, he lived his life with verve, never letting his disability get in his way. His strength, perseverance and ability to forgive was remarkable. 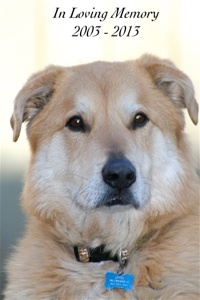 He truly embodied the phrase, "to err is human, to forgive canine!" He taught me SO much and I will miss him terribly. The video below was created by a local radio DJ. I hope that it inspires more people to consider adopting a special needs dog! Rest in peace my sweet Otter. 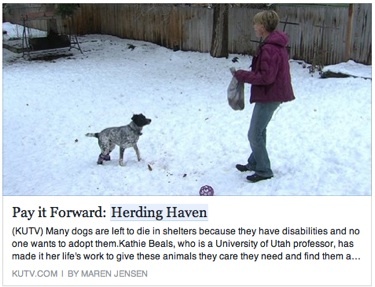 A special thank you to KUTV 2 News for honoring Herding Haven with receiving a “Pay It Forward” recognition. Click here for the full story and video.